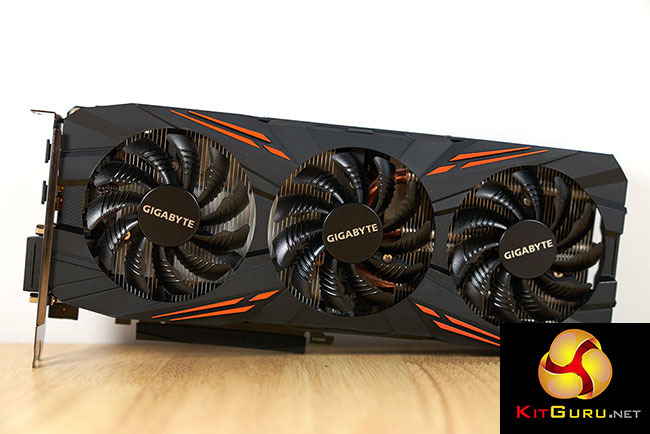 Today we take a look at the new Gigabyte GTX 1080 G1 Gaming graphics card featuring a custom triple fan cooling system, out of the box enhanced clock speeds, improved power phase delivery alongside an RGB lighting system. 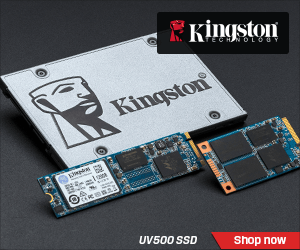 This card is one of the higher end models available today and is priced accordingly, at £599.99 inc vat. 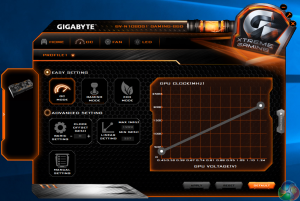 Gigabyte incorporate the latest iteration of their Windforce x3 cooling system, which in previous tests has always performed well. 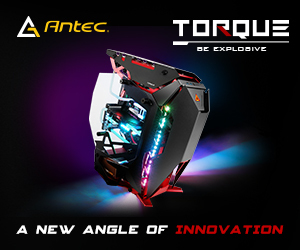 The card ships with a backplate and adopts an enhanced 8+2 power phase delivery system. 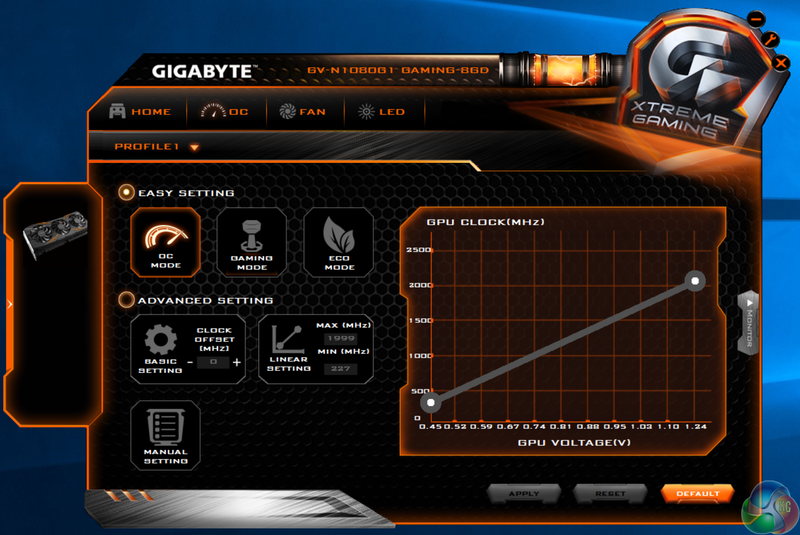 Gigabyte also supply some proprietary software to support overclocking and to adjust the lighting system. We will look at this in more depth later in the review. 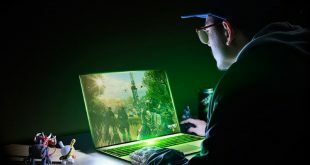 In a similar fashion to the ASUS Republic Of Gamers Strix GTX 1080 the Gigabyte GTX 1080 G1 Gaming ships with a software adjustable RGB lighting system. The Nvidia GTX1080 ships with 2560 CUDA cores and 20 SM units. 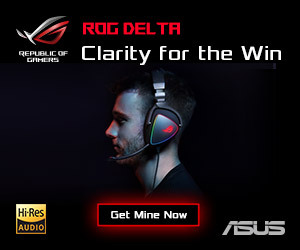 The 8GB of GDDR5X memory is connected via a 256 bit memory interface. This new G5X memory offers a huge step up in bandwidth, when compared against the older GDDR5 standard. 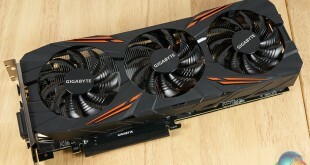 It runs at a data rate of 10Gbps, giving 43% more bandwidth than the GTX980 GPU. 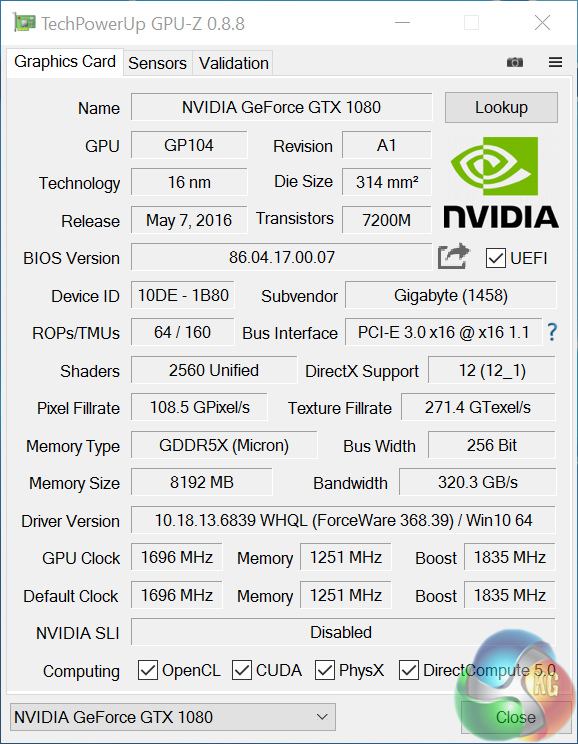 The Gigabyte GTX 1080 G1 Gaming RGB can operate at different clock speeds, controllable in the latest version of their Xtreme Engine Software. 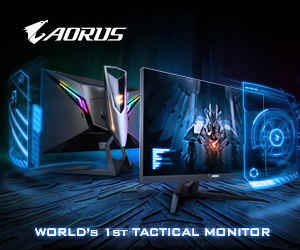 In Gaming Mode base clock is set at 1695mhz, and in OC mode base clock is 1721mhz. 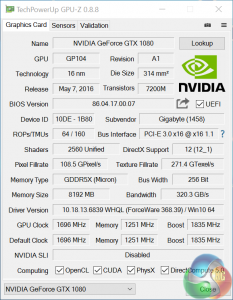 Boost clock speeds are 1835mhz in Gaming mode and 1860mhz in OC mode. We test the card today in the faster OC mode, which can be set in the software by clicking a button.